Start your prenatal care as soon as you know you are pregnant. Getting regular checkups with your health care provider will help you have a healthy pregnancy and a healthy baby. If you need help finding a health care provider, call your Local Health Office. The WIC Program is here to help you during your pregnancy – find out if you’re eligible and how to apply. It's not too early to start thinking about how you will feed your baby. For most babies, breastfeeding is the healthiest choice. Breast milk is very nutritious and easy for babies to digest. In addition, breastfed babies are healthier and are less likely to have allergies, colds, ear infections, diarrhea, and some other sicknesses. Talk to your health care provider or your WIC nutritionist about breastfeeding – the best choice for you and your baby. Eating well during pregnancy is one way to help give your baby a good start in life. When you are pregnant, in a way you really do need to eat for two. Eating a variety of healthy foods at regular meals and snacks will give you the calories, protein, and vitamins and minerals you need for your baby's healthy growth and development. You need to eat enough to give your baby what she needs to grow and to give yourself enough energy to keep going throughout your pregnancy. You can use the Daily Food Plan for Moms to help ensure you are eating well during pregnancy. Although healthy eating is the key to good nutrition, it isn't always possible to get everything you need from the food you eat. You may be given a multivitamin with folic acid and iron to help you get the vitamins and minerals you need to support the growth of your baby. Check with your health care provider for recommendations on taking a prenatal vitamin. Folic acid, a B vitamin, is especially important during your pregnancy to protect your baby from certain birth defects. Iron is also important to help your body make more red blood cells. Some women experience cravings for certain foods while they are pregnant. Others are turned off at the sight or smell of some foods. Satisfy your craving by eating foods that you enjoy in moderation and making sure that you are eating a healthy, well-balanced diet. Avoid foods that you just can't stomach. Try to find other foods that are a good substitute. For example, if you can't seem to tolerate red meat, make sure you still get enough protein in your diet by choosing lean poultry, fish, beans, peanut butter and dairy foods. If you crave non-food items, let your doctor know. Although caffeine in coffee, tea, sodas and chocolate, seems to be safe during pregnancy, it is best to limit caffeine. Have no more than 2-3 cups of caffeinated beverages per day. Try water, or fruit juice mixed with seltzer as a refreshing substitute. It is best to avoid artificial sweeteners such as aspartame during pregnancy. Gaining the right amount of weight during pregnancy is good for you and your baby and can make it easier to lose the weight after your baby is born. Weight gain is a normal part of pregnancy to support the growth and development of your baby. It is important to gain enough weight so your baby is healthy, but not too much weight to cause complications. How much weight to gain depends on your weight before you became pregnant. Your health care provider or WIC nutritionist can help you find out how much weight you should gain during your pregnancy. Learn more about healthy weight gain. Eat a variety of healthy foods each day. The food you eat helps your baby grow and develop. Trust your body. Your body knows how much it needs. Eat regular meals and snacks. Try not to skip meals. You’ll be more likely to overeat at your next meal if you skip a meal. Choose foods naturally lower in fat, including whole grains, fruits and vegetables, low-fat dairy foods and lean meats, poultry, fish and beans. Try not to eat too many “empty” calories such as those in candy, chips, soda and other sugary beverages. Regular physical activity like walking, swimming and yoga keeps your body moving to help you stay physicall and emotionally healthy during pregnancy. Check with your doctor before becoming active. It is likely that if you were active before your pregnancy, you can continue to stay active. If you weren't active before your pregnancy, start out more slowly and add activity to your daily routine gradually. Start with 10 minutes of walking. Gradually increase your activity to 30 minutes on most days of the week. Ten minutes at a time is fine. Find things that you like to do, such as walking, swimming or prenatal exercise class. Get moving with others, such as family members or friends. Physical activity is good for everyone! Some of the common complaints during pregnancy include morning sickness, heartburn and constipation. There are some things you can do to lessen these discomforts. Dental health is important during pregnancy. Continue to see your dentist, brush twice a day with fluoride toothpaste and floss once a day. Learn more about how pregnancy affects your dental health. Things like placing babies on their back to sleep, using a firm mattress, and keeping the crib free of soft objects can help keep babies safe while they sleep. Learn more about how to ensure that your baby is in a safe sleep environment. Prescription and over-the-counter medications can be very harmful to your baby. Ask your doctor or healthcare provider before using any medications during your pregnancy. Alcohol, tobacco and drugs can be very dangerous for your baby. The best advice is not to use any alcohol, tobacco or other drugs during your entire pregnancy. Drinking any amount of alcohol can harm your baby's growth and development. Smoking or chewing tobacco can hurt your baby's growth too. Street drugs are very dangerous and harmful to you and your baby. If you use drugs, it is best to stop. If you need help to stop smoking or using alcohol or other drugs during your pregnancy, talk with someone who can help. Call your doctor or other health care provider, or contact your local WIC office for support. Things in our environment can affect a pregnant woman's health and the health of her baby. This Environmental Health Guide can help you to identify potential hazards in the environment where you live. 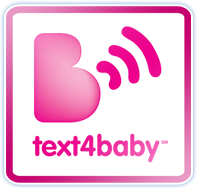 Text4baby makes it easy to get important information, and it's free. Women who text BABY (or BEBE for Spanish) to 511411 receive free text messages three times per week, timed to their due date or their baby's birth date, through pregnancy and up until the baby's first birthday.